Runway changes are needed to account for the moving magnetic pole, which is nearing Russia at 40 miles per year. 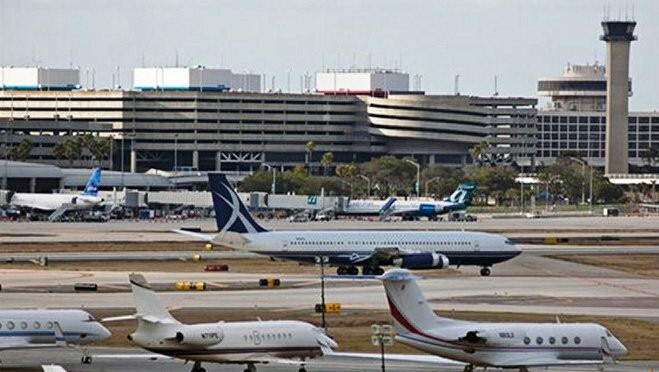 TAMPA – Scientists say the magnetic north pole is moving toward Russia and the fallout has reached — of all places — Tampa International Airport. The airport has closed its primary runway until Jan. 13 to repaint the numeric designators at each end and change taxiway signage to account for the shift in location of the Earth’s magnetic north pole. The busiest runway will be re-designated 19R/1L on aviation charts. It’s been 18R/36L, indicating its alignment along the 180-degree approach from the north and the 360-degree approach from the south. Later this month, the airport’s east parallel runway and the seldom used east-west runway will be closed to change signage to their new designations. The Federal Aviation Administration required the runway designation change to account for what a National Geographic News report described as a gradual shift of the Earth’s magnetic pole at nearly 40 miles a year toward Russia because of magnetic changes in the core of the planet. Hey new orleans beer looter, you are a f***ing retard. Keep your religious garbage to some bible forum or something. STFU with your god preaching, this is science news, for people with logical minds and rational thoughts, not wacky fantasy voodoo ritual nonsense. lol chill dude. The human brain lives on patterns. People have attributed religious significance to almost everything since the year dot, including but not limited to rocks, the sun, trees, toilets, doors, the planets, their rulers, the universe etc. I think Mister E was offended at the suggestion that routine magnetic shifts, which are a natural geophysyical phenomonon, which have occured indefinately, both on the earth and the sun, should be attributed some modern day religious meaning. Also, perhaps the ranting about the sins of man was misplaced. I know such rantings, and doomsday talking have been popular indefinately – part of our successful survival instincts of pattern recognition too, but it can become a little tiresome sometimes. Before ranting about the sins of modern man, you really should do your research chaps. If you actually took the time to look beyond hollywood glamour, and looked at how people lived and treated each other throughout history, you’d see far worse behaviour throughout. If you wish to apply logic and religion, perhaps you shoudl restrict your efforts to proving godly acts of historic destruction, based on the lower standards in society at the time? Please cite any evidence which leads you to believe such geophysical events are of a religious nature. Personally speaking, I maintain an outlook to aid follow man, regardless of his belief or race, or social grounding. I do so without any expectation of reward in this life, or any other. I recognise what I percieve to be a positive nature, yet I recognise that my view of positive is inherantly flawed in the same manner as everyone else’s. I refer to my own personality and morality, yet I recognise that I am but a net effect. I am no different to a crazed psycopath in birth, yet shaped by events and circumstance. This is the truth of all men being equal, the acceptance that you are indeed equal to all others, that you too are a subject of circumstance, but that’s way off topic for here eh. I think the judge on the Simpsons had it right when he issued a restraining order keeping religious and science 1000ft away from each other at all times … i understand the objection of hearing about religion on a science site since everytime someone mentions caos or a possible ELE, we’re bombarded by religious beliefs. With that said, it doesn’t give anyone the ok to try and dismiss someone else’s need to believe. We all have a choice to continue reading after the first mention of “God” is written … we’ve either evolved to make that choice, or the choice was given to us … in either case, use it and enjoy the parts yiu do choose to read. Why are people so hateful? You know the end is on it’s way so you don’t know how to behave. Buy a boat so you can be like Noah.